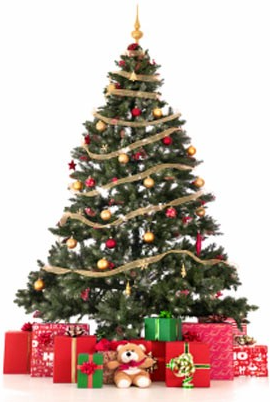 Grab new CAD applications that are given out by CAD Studio as a traditional Christmas present - this year for the twelfth time already. This year's CAD presents are available especially for AutoCAD users. 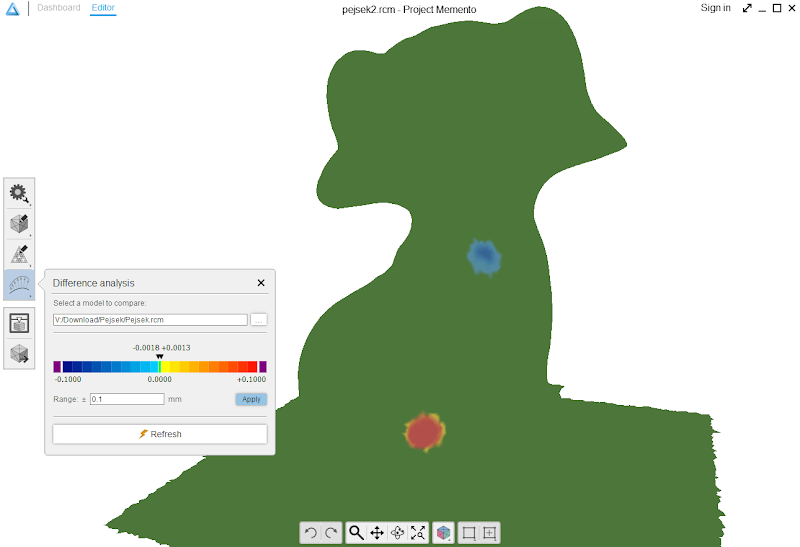 Dimension length of any 2D or 3D curve, trace points on a curve in the specified distance (stationing), open a custom palette with a converter for hundreds of common and less-common international and historical physical units, log all changes performed in a DWG drawing, automatically switch layers for texts, dimensions, hatches, etc. - pick one of our free productivity tools for your everyday work. Read more at Twelfth Christmas CAD utilities given out by CAD Studio. One of the fastest growing Autodesk application is the tool for processing large 3D mesh models - Autodesk Memento. It is an important tool for 3D reality-capture from photos, 3D point-cloud scanning or handheld scanners - converting the acquired data into 3D models for CAD and BIM software. Today released version of Memento (V1.0.12.1; expires March 31,2015) brings a couple of important new features. 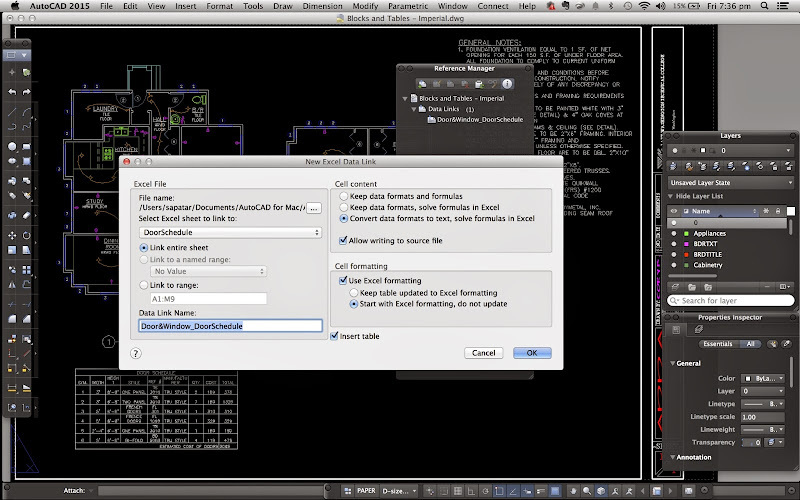 You can export AVI videos with presentations of the model in multiple resolutions. 3D navigation in the model was simplified by using the spherical orbit gizmo and by assigning coordinate systems to the processed model. You can export OBJ files without textures or with re-baked textures. There is an enhanced support for Artec 3D scanners. But probably the most interesting new feature is the difference analysis between two 3D meshes. 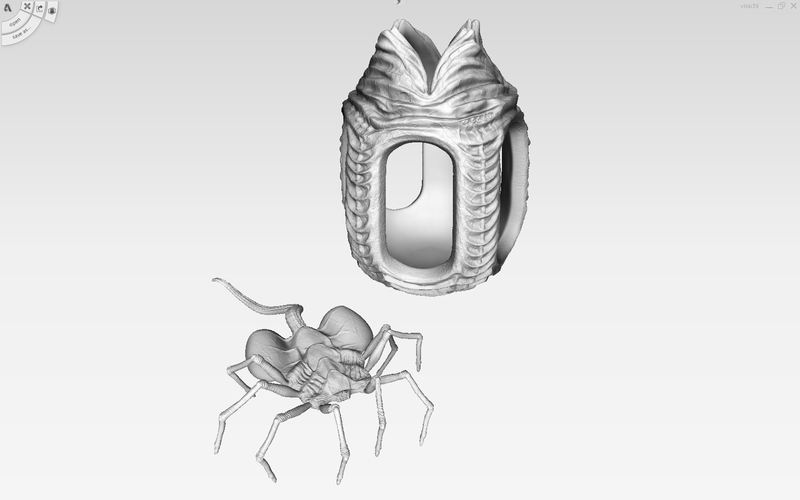 You can easily perform a comparison of differences between two mesh models. The results are presented as a colored hypsometry enhancing positive and negative changes of the model geometry - comparing two different files or an old and a new version of the same model. So you can easily compare e.g. photographed and generated 3D models of the same scene after some time (e.g. plant growing, terrain erosion), compare the theoretical (CAD-based) and the real shape of a manufactured and scanned 3D part, find changes in geometry between two versions of a 3D assembly from a CAD software (outer shape only, a mesh). In the sample below, a doggie-toy model (generated in Memento from a photographed scene) was modified to a new version by using the "push" and "pull" smoothing tool on the dog's neck and back leg. Subsequently, the function Analyze > Analyze the difference was used to compare the loaded model with its original untouched version (.RCM file on disk). The dialog "Difference analysis" allows to set the display scale for the difference sizes, plus the "neutral area", where small differences are ignored. 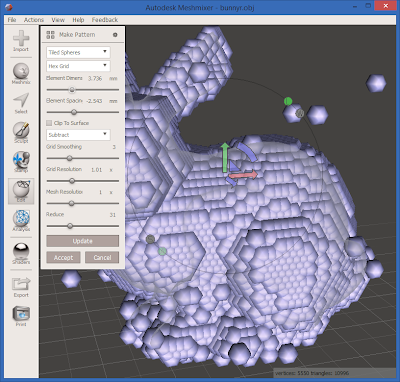 The result then clearly indicates areas where the model shape was changed using the "3D brush" (by adding and subtracting mass). 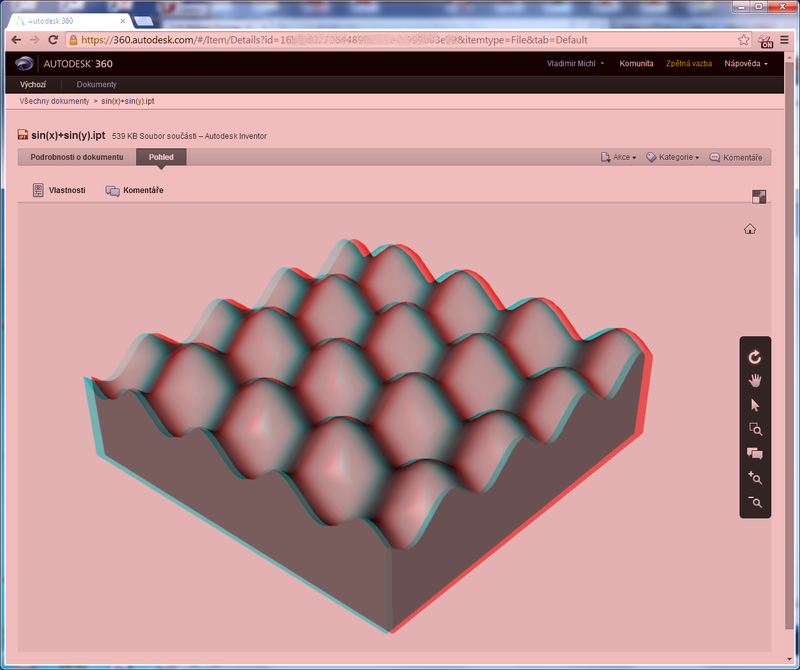 See Project Memento on Autodesk Labs. Autodesk's point cloud processing software - Autodesk ReCap, ReCap Pro and ReCap 360 was updated to new versions. The latest Windows version is 1.4.0.132. You can update to the latest version via the Application Manager or by downloading and installing the "trial" version of ReCap Pro 2015. The "Pro" functionality (e.g. targetless scan-to-scan registration, survey points) reverts automatically to the standard version after your trial period or Pro license expires. The standard version of ReCap is a free application. ReCap is available in 14 languages (switchable inside the application). Autodesk ReCap is a popular and easy to use tool allowing to effectively process very large point clouds (billions of points) from laser scanning (LiDAR) in all major point cloud formats. Indexed point clouds can be then directly read into AutoCAD, Autodesk Revit, Inventor, Navisworks or 3ds Max or published through the ReCap 360 cloud service on the internet. 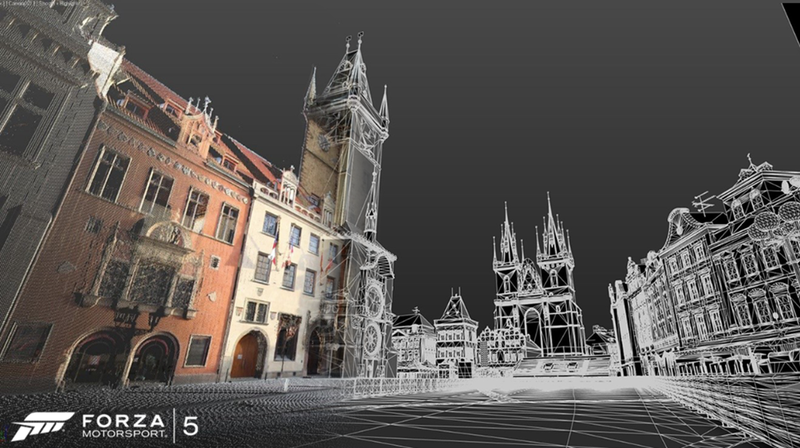 The intro image is a ReCap scan of the historical city hall and Old square in Prague - done by Turn 10 Studios for the Forza Motorsport 5 game for Xbox One. 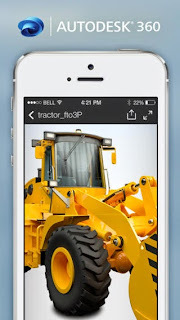 The mobile application Autodesk 123D Catch employs cloud technology for easy to use 3D scanning. It converts a series of photographs of any object taken from different angles to a realistic textured 3D model - directly on your smartphone or tablet. 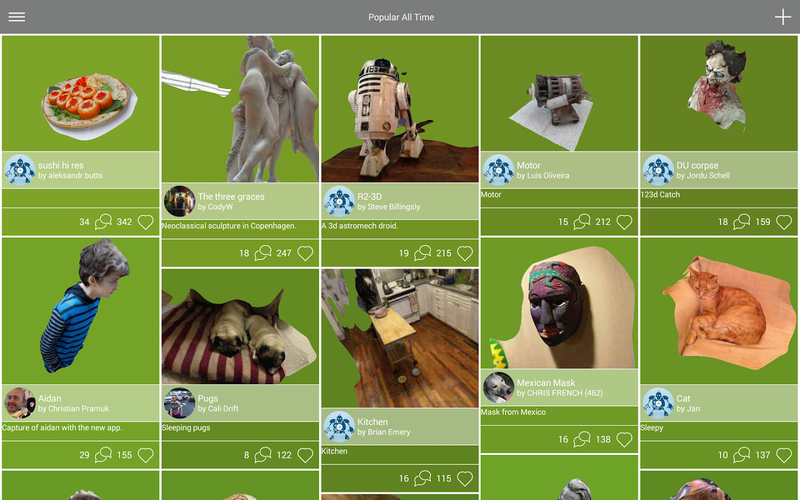 123D Catch was available only for iPhone, iPad or Google Chrome web browsers. Now it is newly released as an Android application so you can 3D-scan also on the most widely used phones and tablets based on the Google operating system (requires Android 4.0.3 and higher). This "modeling" application, originally known as "Photofly" has also a professional version - "Autodesk ReCap Photo". But the 123D Catch app is free. You can easily create and then share, interactively display and print 3D models of people, artefacts, buildings, plants - anything, what you can capture from all directions and angles so that the application can reconstruct a 3D model from the photographs. 123D Catch also offers functions for model healing, 3D printing and exporting to different 3D formats (also for CAD applications). You can download Autodesk 123D Catch from Google Play and from iTunes. The Autodesk 360 cloud - what's next? Designers and engineers increasingly collaborate in extended teams on complex projects involving different disciplines - so they need to access current project data anytime, anywhere, on any device. A key aspect is the need to keep track of all changes and activities around the project, in one place. One of important requirements is also the availability of CAD data for non-technical users, or transfer of performance-intensive tasks to the cloud. 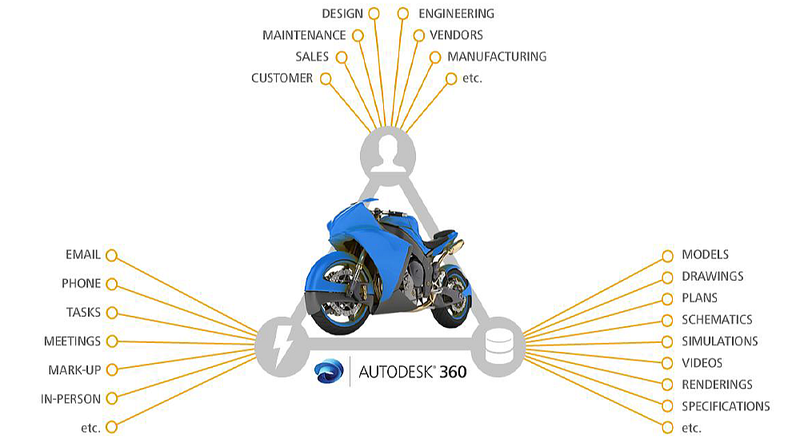 All these benefits are offered in the cloud service Autodesk 360. What is the nearest future of Autodesk 360? 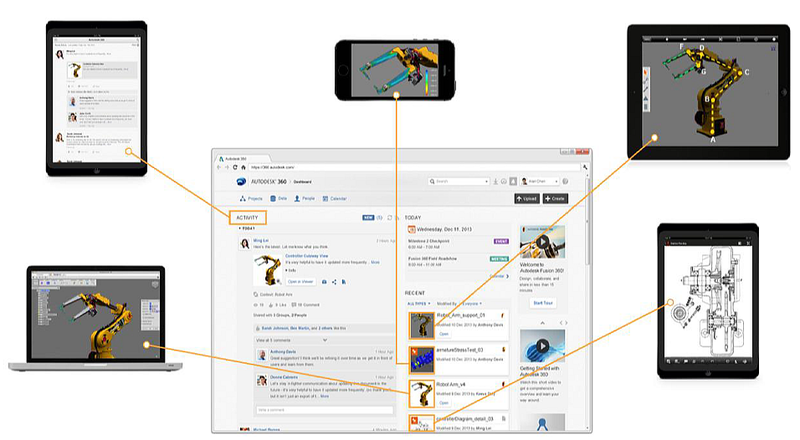 This web application becomes a broad platform integrating various web services by Autodesk, enabling feature-rich online collaboration, creation and management of CAD data. Within teams, you will probably encounter different types of CAD applications. Therefore, it is important to support multiple types of the most common CAD ​​formats. The existing version of Autodesk 360 supports the formats DWG, DXF, Inventor, Fusion, ATF, Navisworks, Revit, SIM360, but soon also other "foreign" CAD formats will be added, such as CATIA, Pro/E or Solidworks (already fully supported in Autodesk Fusion 360). You can then view this data interactively in your web browser, display the structure of the model, its exploded views, etc. The project management functionality allows you to create and organize tasks and milestones for workflows in the current project and team. You can also follow progress of the project, including notifications of critical situations. Autodesk 360 will support (like other Autodesk web services) federated data - your CAD data can be physically stored in another cloud according your preferences - technical, enterprise or legal - e.g. in Dropbox, Box, Google, Sharepoint etc. 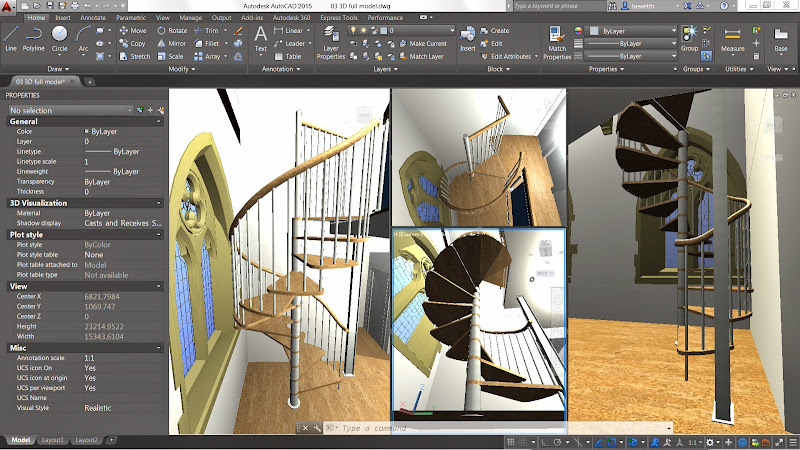 You are not limited to your desktop, you can also use any mobile device in the field or on the site to access project data from Autodesk 360, display supported types of CAD data, team members can comment on the designs, search project data, use project schedules, tasks and milestones. You can e.g. shoot photos with your mobile phone, place them directly into a project and use the ReCap 360 module to generate 3D models. 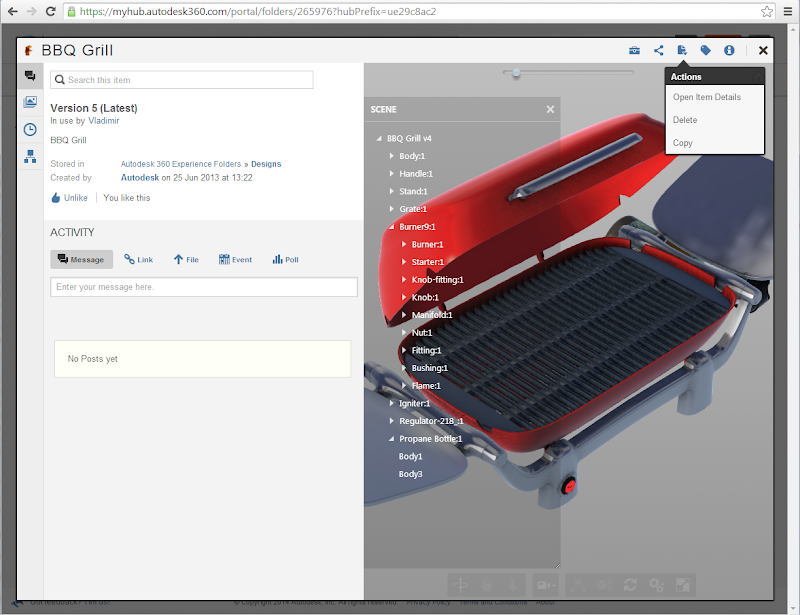 The new Autodesk 360 is already available in a form of a technological preview for invited users (since May 22nd for anyone on www.autodesk360.com, log-in on the bottom), and it is also integrated in the current version of the 3D editor Autodesk Fusion 360. The existing (old) features of Autodesk 360 (internally called "Nitrous") will continue to be available for free. The new, enhanced Autodesk 360 will be available as a commercial service (starting end of June/beginning of July). 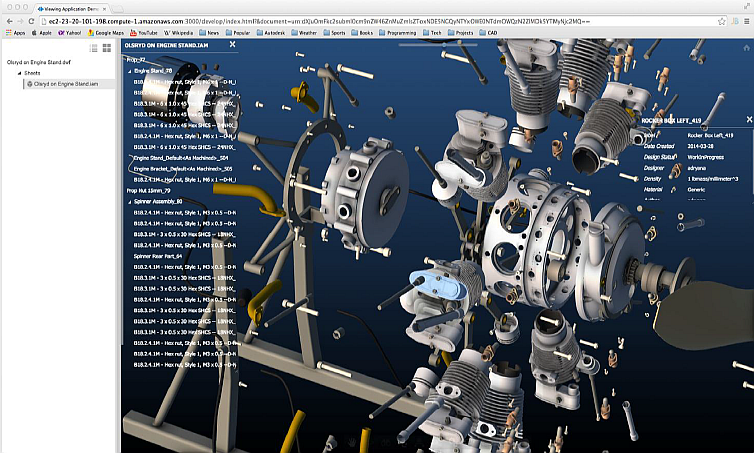 The existing Autodesk 360 cloud service supports individual files - can share them, view them. 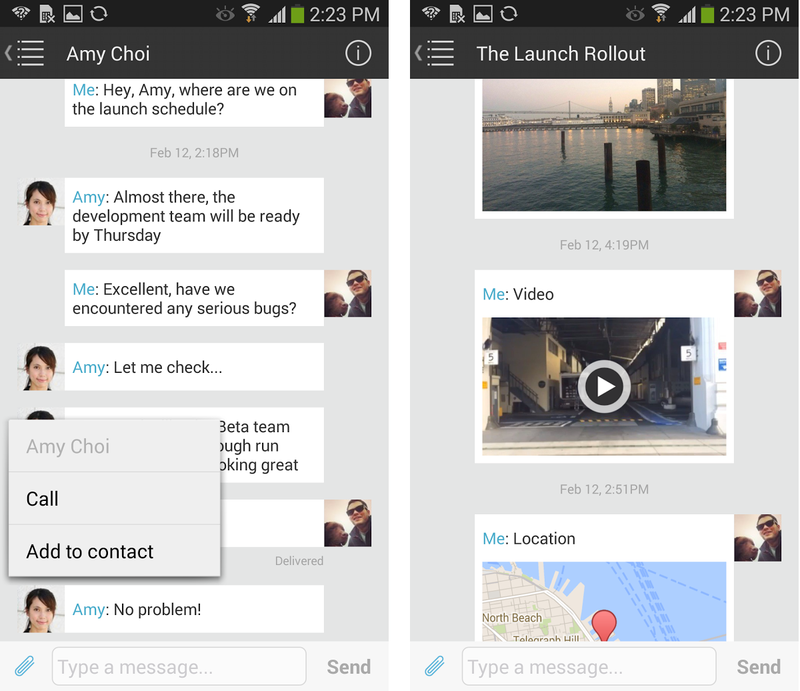 In contrast, the new, upcoming version offers online collaboration not only for documents, but for entire projects. It identifies relevant associated documents (xrefs, assembly components), offers the aforementioned team functions, time-scheduling functions, team user management, supports various types of CAD data formats, integrates other Autodesk's cloud services (render 360, Fusion 360, Sim 360, CAM 360, ReCap 360, PLM 360, Infraworks 360), plus there is a mobile version. 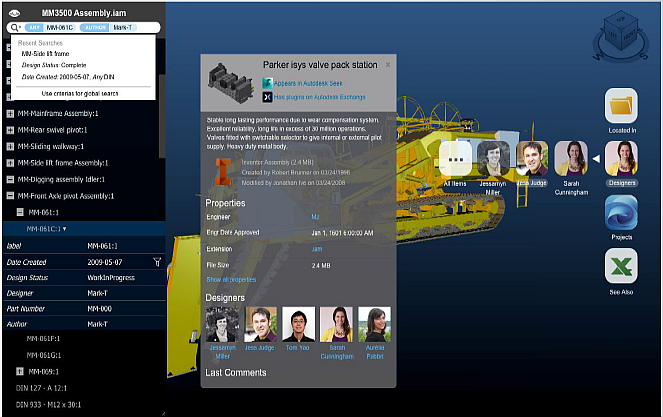 The above mentioned planned new features include a unified universal viewer for large 3D CAD data (LMV - large model viewer); the "deep search" function - search through projects and through the contents of CAD data; project management (milestones, tasks); integration with Design Feed available in desktop applications; cloud API. So in the coming weeks and months we can look forward to exciting new tools that open interesting possibilities for easy collaboration on CAD ​​projects. 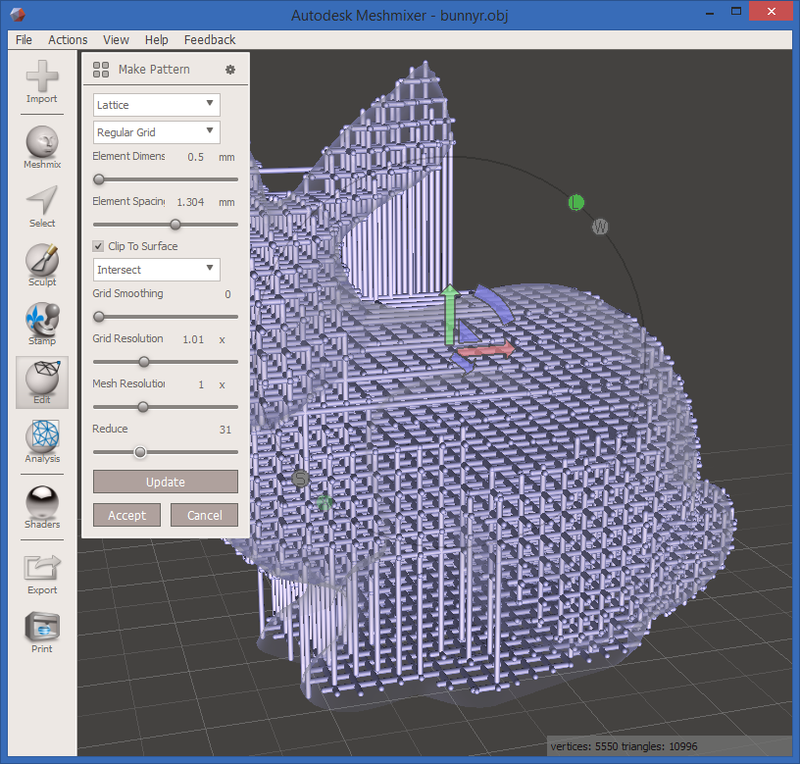 Autodesk announced its own 3D printer yesterday and today comes with new surprise - acquires certain assets of NEi Software (formerly Noran Engineering), including its main product, the well known NEi NASTRAN solver. 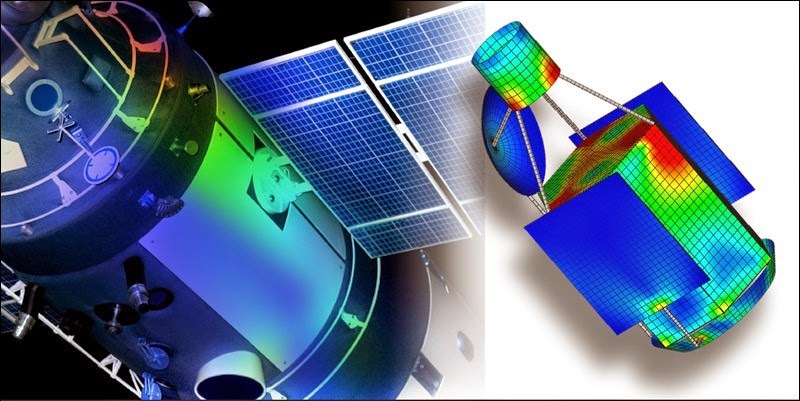 NASTRAN (NAsa STructural ANalysis) is a highly acclaimed tool for analysis of 3D models based on the finite element method (FEA). This solver is also used in other CAE applications (e.g. Femap). The roots of NASTRAN date back the 60s when it was developed for space agency NASA. There are several offshoots of this software (FTC-induced clones in 2002). Calculations from NASTRAN are used today not only in the space program (e.g. for SpaceShipOne), but also for demanding "mundane" behavioral analysis of 3D models - linear and nonlinear analysis, dynamic simulations. 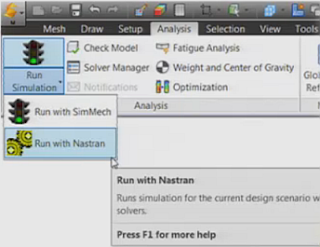 It can be expected that NASTRAN will complement the existing Autodesk simulation products. 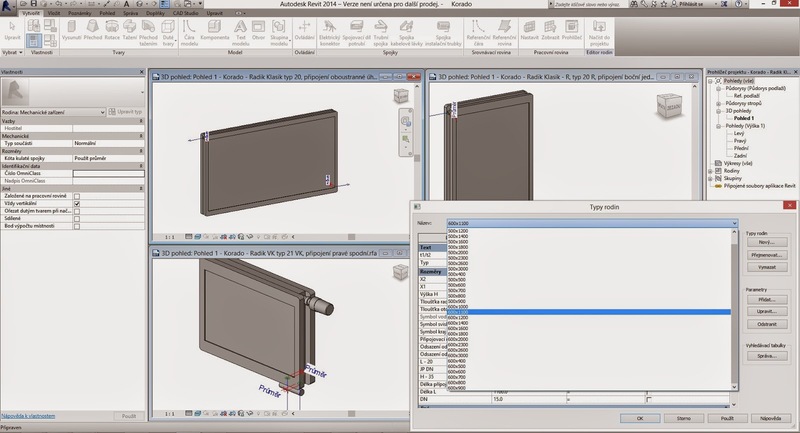 The desktop- and cloud-based CAE tools by Autodesk are being developed on the technologies derived primarily from acquisitions completed in recent years - such as Algor, Moldflow, CFdesign (Blue Ridge Numerics) or Firehole Composites. 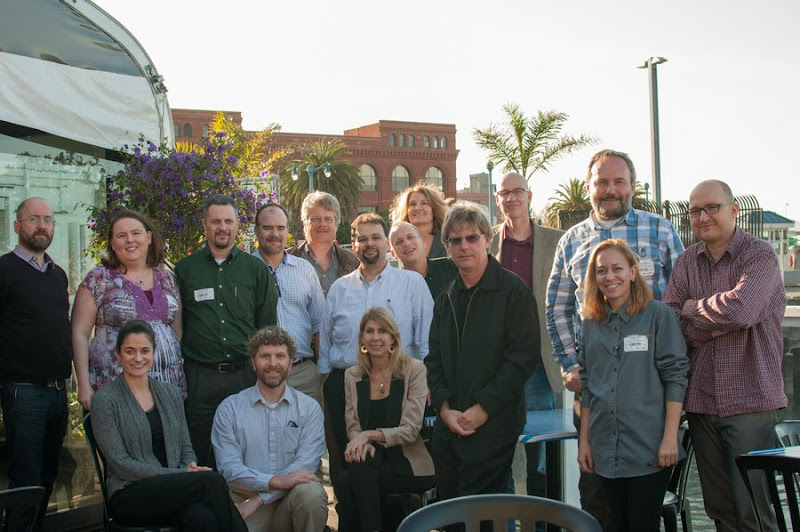 The latest NASTRAN acquisition confirms that Autodesk is very serious in the simulation business. Autodesk just launched a new update of Project Memento, a technology preview Windows application with tools for converting photos and scans into high quality 3D mesh, plus powerful tools for mesh clean up, fixing and optimizing mesh models for further use - e.g. CAD or 3D print. See the announcement on Shaan Hurley's blog. 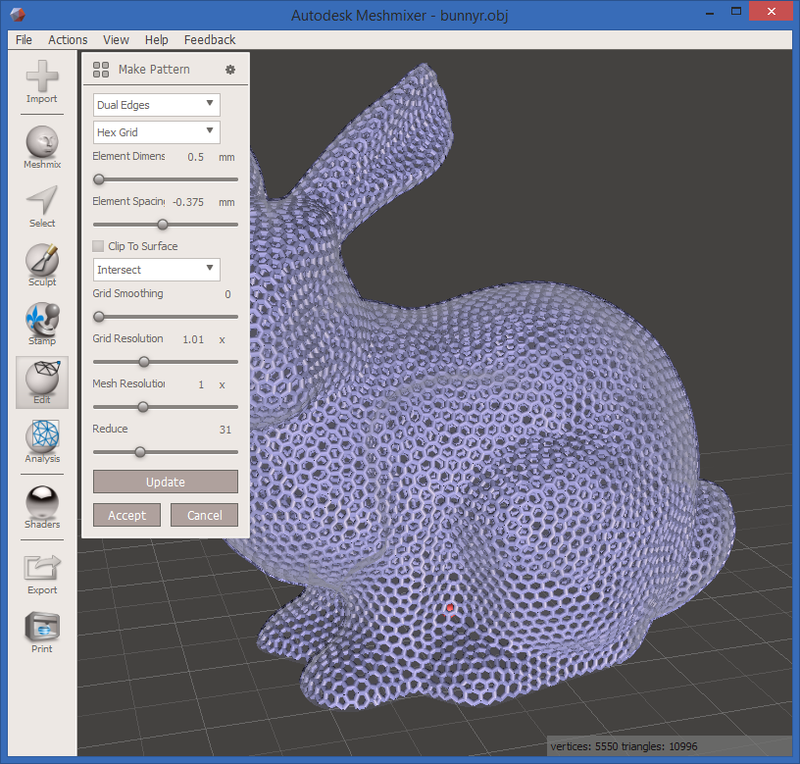 We have tested the new version of Memento 1.0.8.0 on a large model of "baby alien" from our last year's design contest Hedgehog in cage. 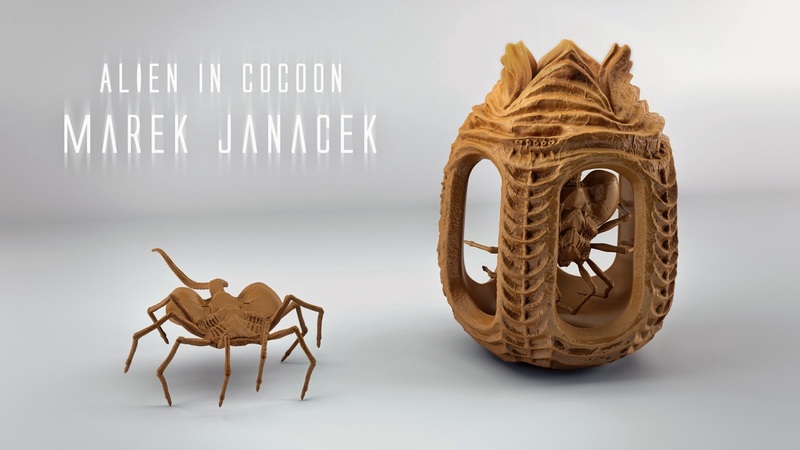 The winner, the "Alien" model (with its cage/nest) was designed in 3ds Max and this organic shape is very detailed. Its source .max file has about 700MB, the exported .obj file is a hefty 1.6GB giant. Full detailed STL print file is also over 1GB, and thus many 3D print engines had problems handling it. It was also not easy to view or simplify this large mesh in any 3D software. Loading this OBJ or STL model into Memento was very fast, about 2:20 min. on a plain home PC with just an integrated graphics card. The model then rotated and zoomed in real time. Individual faces could be easily selected. The native .rcm file has 700MB and it loads instantaneously(!) in Memento. Subsequent OBJ re-export of this model with 50% decimation (simplification) took about 4 minutes (there was not any visible degradation on this 50%-smaller model). 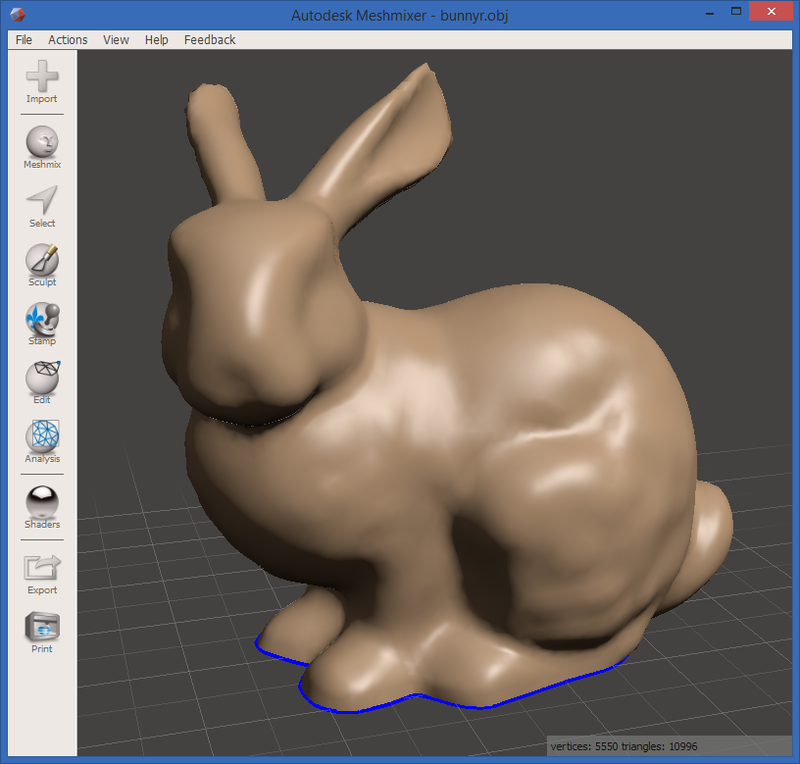 You can 3D print on different 3D printers directly from Memento. 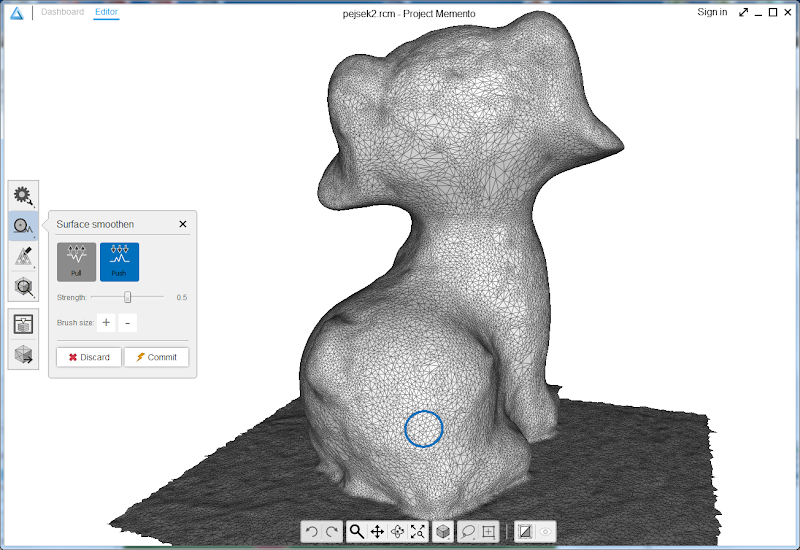 So if you need to heal, process or 3D print a large mesh model (scanned or modelled), Memento is definitely worth trying. 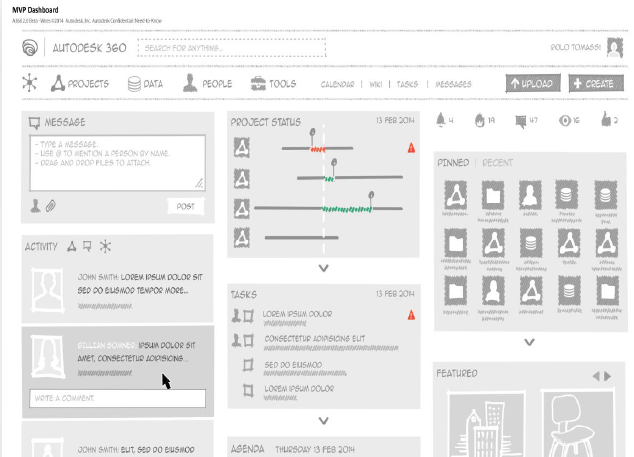 See Project Memento on Autodesk Beta site. 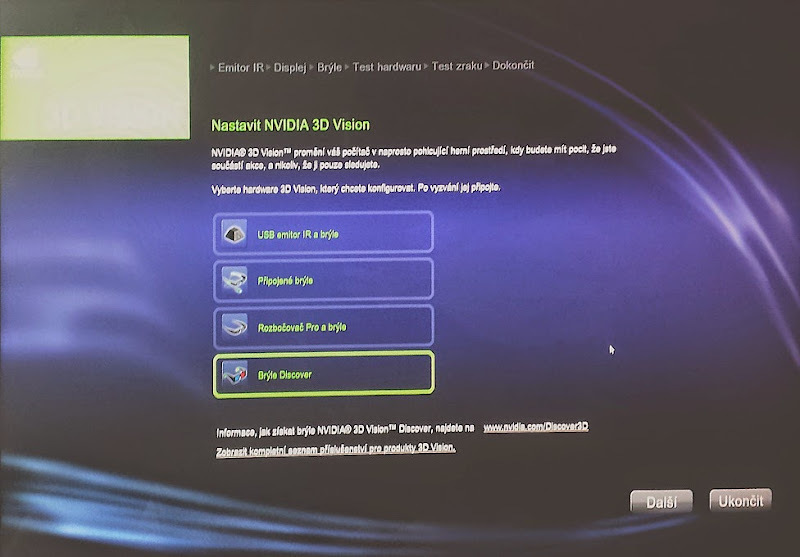 If you use a graphics card nVidia Quadro (or other graphics card supporting stereoscopic display) in your computer, you can three-dimensionally view your 3D CAD models stored in the Autodesk 360 cloud. There is no need to pre-process the CAD models nor to install any special viewing software, a standard web viewing functionality of the cloud is used. 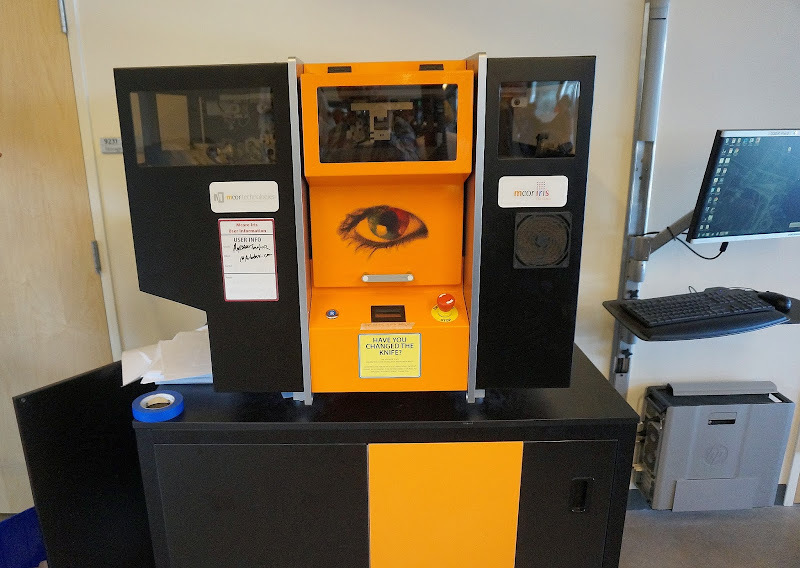 The models are displayed stereoscopically, with any 3D viewing technology supported by your graphics card. You need to first setup the stereoscopic mode on your graphics card. Install the latest version of the graphics card driver (full install). On nVidia cards then run the "NVIDIA Control Panel" and in it the task "Set up stereoscopic 3D". The initial setup will launch the "Setup wizard" where you can choose the required display technology for 3D viewing. If you have no special 3D hardware (glasses), you can use plain paper red-cyan stereoscopic glasses - then use the option "Discover Glasses". 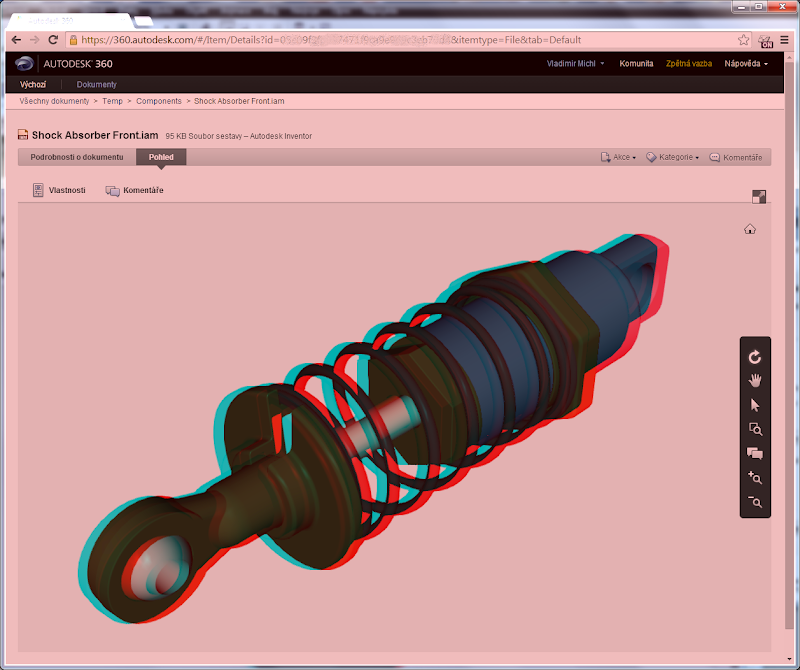 You can rotate/orbit your 3D model and enjoy the 3D experience. Please note the quality of 3D viewing can be sometimes less than ideal - this is not a functionality of the cloud itself but rather a local functionality of Google Chrome and the nVidia driver. 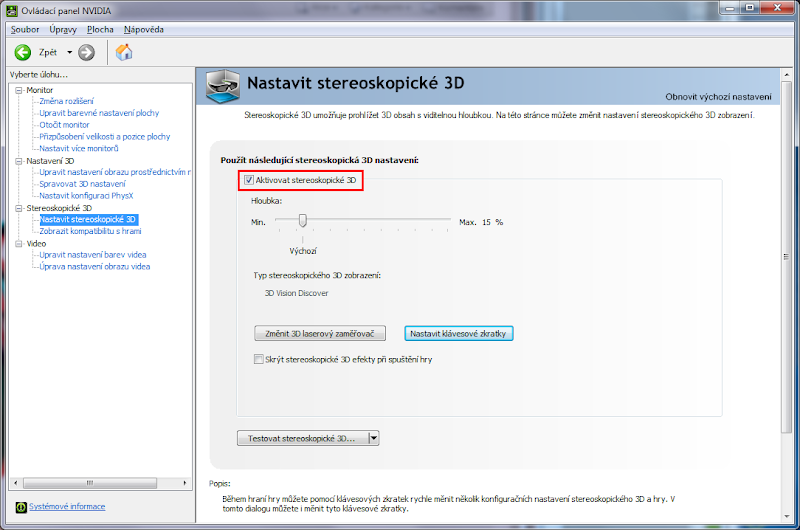 Not all cloud-supported (viewable) 3D formats seem to invoke this 3D display mode. 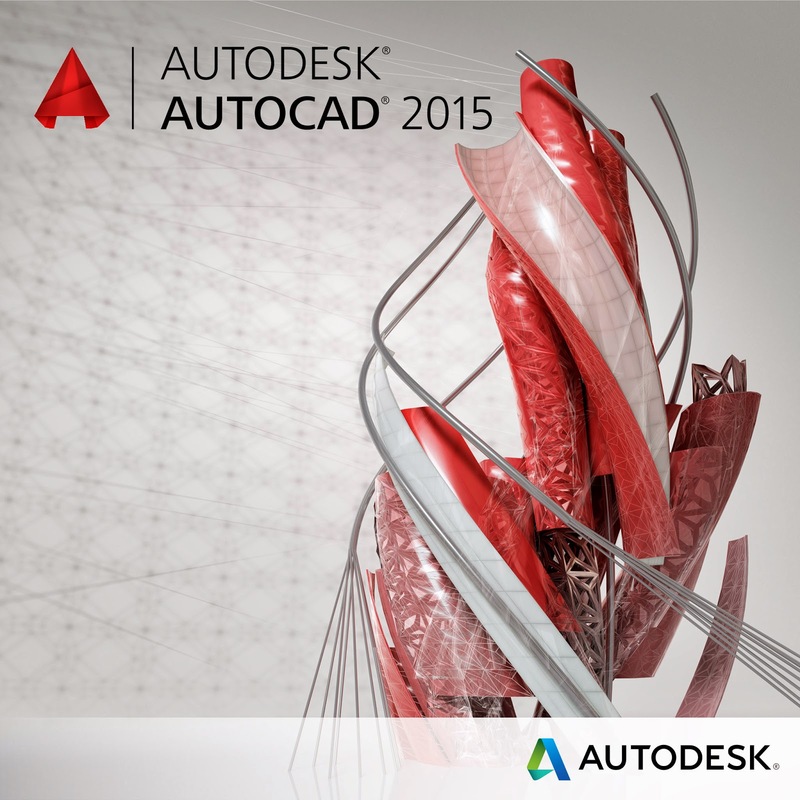 You have probably NOT noticed a small technical change in the latest AutoCAD 2015. This change is more important for programmers but it has also some consequences for normal AutoCAD users. AutoCAD (at least its Windows versions) has traditionally used so called "fibers", an old Windows multitasking technology for switching contexts and threads. This allowed AutoCAD to switch drawings (documents in Windows terms) transparently in a middle of a command, without interrupting it. You could start a polyline in one drawing, switch to a different drawing opened in the same AutoCAD session, draw something there, and then return back to the original drawing to continue with the original polyline. This is maybe a nice feature but it was not used much. And first of all it created major technical obstacles in debugging add-on applications, especially modern .NET and ObjectARX plugins, as Windows do not fully support this fibers technology anymore. See programming details on ADN DevBlog. Our programmers do like this change. So since AutoCAD 2015, switching MDI context (switching to another opened drawing tab) now effectively means interrupting the active command - like pressing ESC. Do not confuse this with switching viewports in layouts - you can still use this type of "in-DWG" context switching in AutoCAD 2015. Since the FCS date of the new AutoCAD 2015 (March, 18th), most other products of the "2015" product family have been already released - at least in the original English versions and in main localizations. All new products are available for download on the Subscription Center (ELD, electronic license delivery) and as 30-day Trials on Autodesk.com. The latest releases as of today are the Product Design and Factory Design Suites, Building Design Suites, 3ds Max and Revit 2015. The list of already released products in English and Czech is maintained on the page Release dates - Autodesk 2015. There was also a couple of surprises in this year's release process. 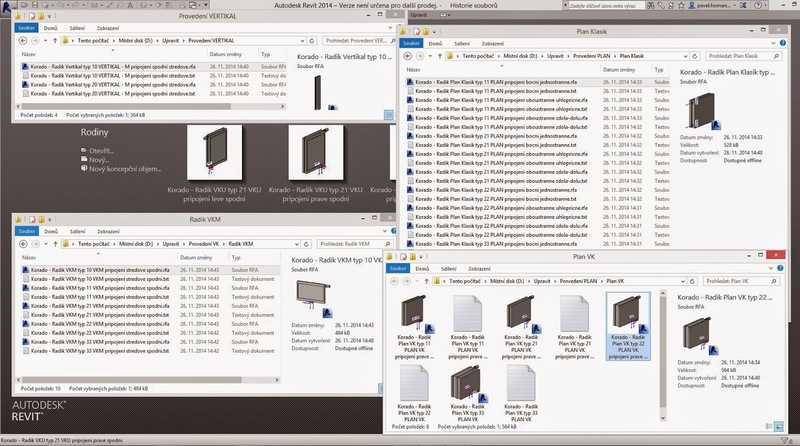 Starting with premature publishing of AutoCAD 2015 product videos, through a "zero-day" update release (UR1) for Revit 2015 up to the Showcase 2015 first removed and then added back to the Autodesk Product Design Suites. Kudos to Autodesk for listening to users' complaints and quickly adding quite popular Showcase and Alias Design back to the standard set of Product Design Suite tools. And more Kudos to the Autodesk localization team for releasing localized (in our case Czech) versions of most products so early after the original release. It took weeks less then usual.